Festive vector graphics of a decorated evergreen tree. 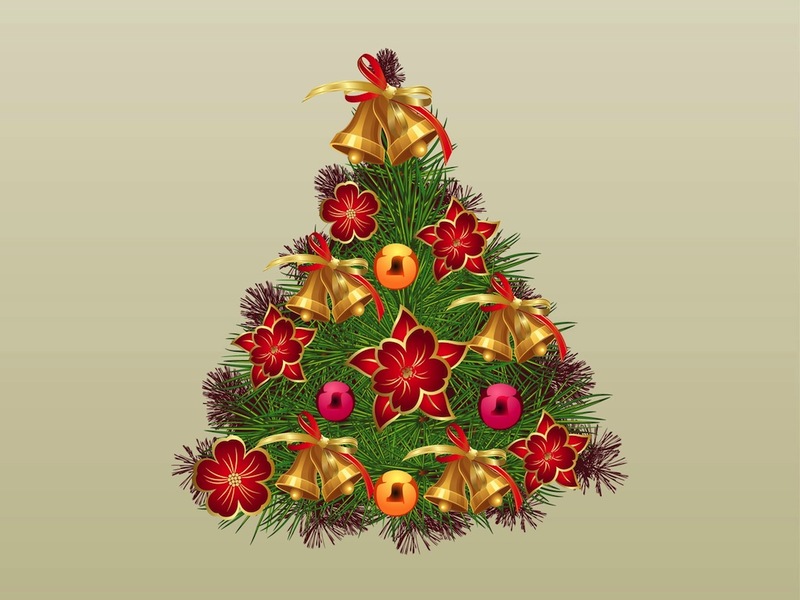 Glossy round ornaments, blooming poinsettia flowers and big golden bells with ribbons on the beautiful Christmas tree. Free vector illustration to use in all your Christmas greeting cards, posters, wallpapers, backgrounds images and flyers designs. Tags: Bells, Celebration, Decorations, Festive, Flowers, Gold, Holiday, Ornaments.